Your child may already feel a little nervous about visiting the orthodontist, but now they found out they need braces. This can be daunting for your loved one because it’s a long-term commitment in a very impactful time in their lives. As a parent, you just want what’s best for them, and getting braces in Newark, OH will have a lifelong impact. Read on for 5 ways you can prepare them to be excited about their new smile! Do I Need a Referral to Visit an Orthodontist in Newark, OH? You’ve lived with your bite woes long enough, and now you’re ready to seek treatment to straighten your teeth. The only thing stopping you is you currently aren’t working with a dentist, so you’re wondering how to get a referral to visit an orthodontist in Newark, OH. What if you didn’t need a referral at all? Wouldn’t that be easier? Read on to learn how simple it is to have your bite fixed! Comments Off on Do I Need a Referral to Visit an Orthodontist in Newark, OH? Seeing an orthodontist in Newark, OH to straighten your teeth is one of the best decisions you can make for yourself, and there’s no question that it will pay off for the rest of your life. But many people are curious about what braces feel like and whether they’ll be painful or not – especially at first. While mild discomfort is to be expected in the beginning, you’ll be glad to know that it subsides within a few days as you adjust to your treatment. 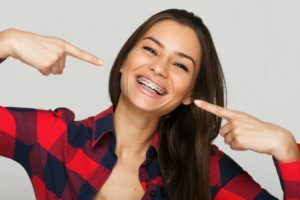 In this blog, you’ll learn more about the process of having braces put on and how you can minimize any discomfort in the first few days. This information will make the transition into braces smoother and get you off to a great start on your orthodontic journey! There’s no question that correcting a crooked smile or misaligned bite enhances your life in many ways. But, unfortunately, some people are put off from getting braces in Newark, OH because they hear a myth about orthodontic treatment online or from a friend. But before making a decision about investing in your smile (or not), it’s well worth it to learn the truth about your options. Below are 5 common myths to be aware of to help you make the right choice! A Beautiful New Smile with Invisalign in Heath, OH! You’ve finally made your mind up to do something about your troublesome bite woes, but you’d prefer a more discreet treatment process than what is offered with traditional orthodontics. Is there an alternative available? A local orthodontist says Invisalign in Heath, OH may be the perfect solution for you. Read on to learn the “ins-and-outs” of the process. Comments Off on A Beautiful New Smile with Invisalign in Heath, OH! It’s the start of a new year, and you’re bubbling with excitement about the opportunity to make changes in different aspects of your life. One area that you’ve been wanting to make improvements in for years, is the alignment of your teeth. Your orthodontist in Newark, OH explains why now is the perfect time to seek treatment and to create the dazzling smile you’ve been looking for! During the holidays season, the last thing on your mind is a dental emergency, but there is always the chance of one occurring. Thus, as a parent, you want to take whatever precautions are necessary to prevent your child from enduring any unnecessary suffering. 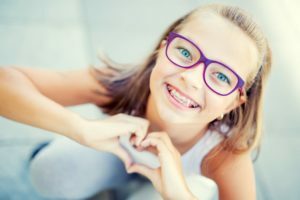 Thus, your orthodontist in Newark, OH explains how to handle the unique situation of an orthodontic emergency for your child while traveling during the holidays. 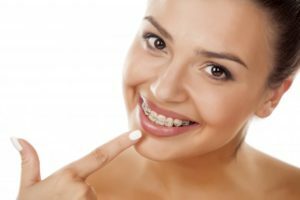 3 Top Ways To Avoid Cavities While You’re In Braces in Newark OH! Most people want braces to improve their appearance, but orthodontic treatment is also crucial for good oral health. And while braces in Newark OH will certainly give you a beautiful smile, your teeth also have to stay healthy before they can look their best. With the right tips and tricks during treatment, you can make sure you don’t have to spend time and money repairing cavities once your braces come off. Keep reading for 3 tips to make sure you not only wind up with a straight smile, but a healthy one as well! Comments Off on 3 Top Ways To Avoid Cavities While You’re In Braces in Newark OH! As your child grows and develops, there are several things you have to monitor, and one of them is his or her oral health. Thus, you want to be aware of any evidence of developing issues. 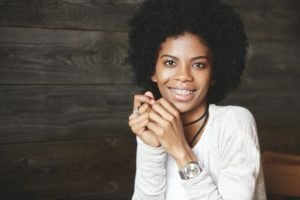 Your orthodontist says there are 5 warning signs of malocclusion (bite problems) that you should be on the lookout for, and when you notice them, you should have your child examined. 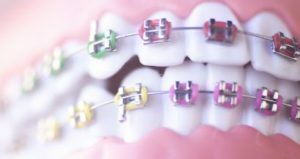 Find out what the signs are and how braces can help as you continue reading. Your Emergency Orthodontist in Heath, OH Gives 4 Halloween Tips! One of the great fall celebrations is Halloween, a time when children are able to use their imaginations and become their favorite characters for a night. Also exciting for them is the chance to enjoy the chocolates, taffy, nougat and other delightful flavors that are in abundance. 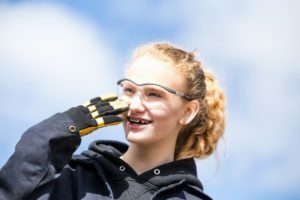 Your emergency orthodontist in Heath, OH says for children who have braces, though, there are some guidelines that need to be followed to prevent an emergency. Read on to learn 4 helpful tips! Comments Off on Your Emergency Orthodontist in Heath, OH Gives 4 Halloween Tips!